Why is it so hard to understand CPU names? In the early days of computing, it was pretty easy to tell the difference between computer speeds, based on the numbering system used on the CPU. 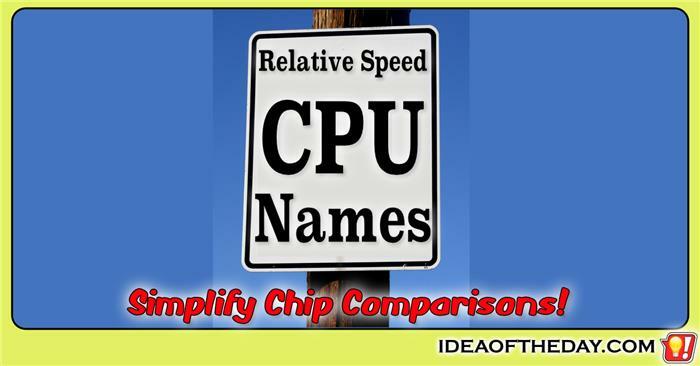 For computers with an Intel CPU, you only needed two things, the CPU series, and it's clock speed to know how fast your performance would be, relative to other CPUs. Other than some oddball numbering issues in Intel's early days, it was common knowledge that an Intel 80386 family was faster than an 80286, but not as fast as the 80486. Within each family you knew a 32 MHz CPU was twice as fast as the 16 MHz version.